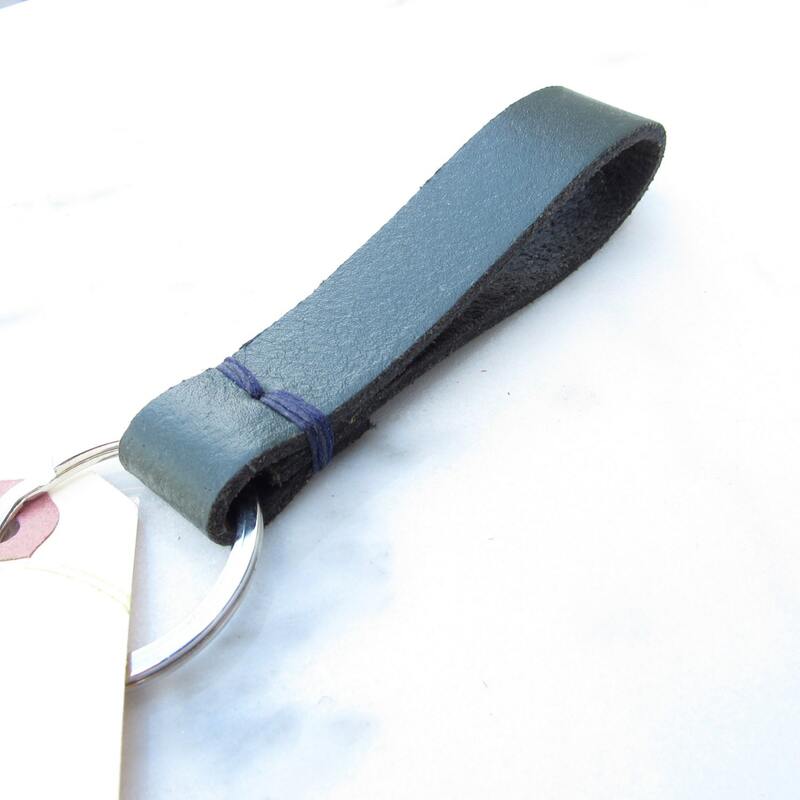 A handcrafted keychain that gets better with age. 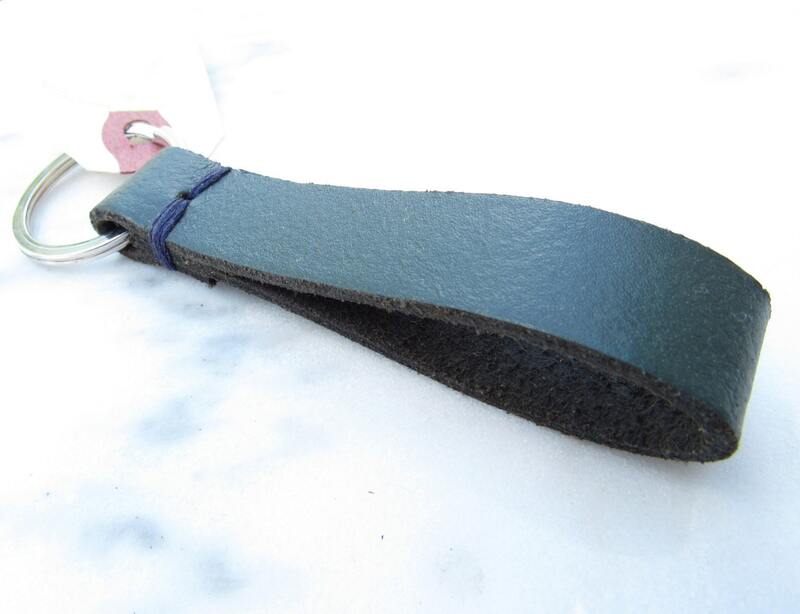 Hand-cut leather, waxed thread stitching, stamped and sealed with a distressed wax finish... each step done by hand. 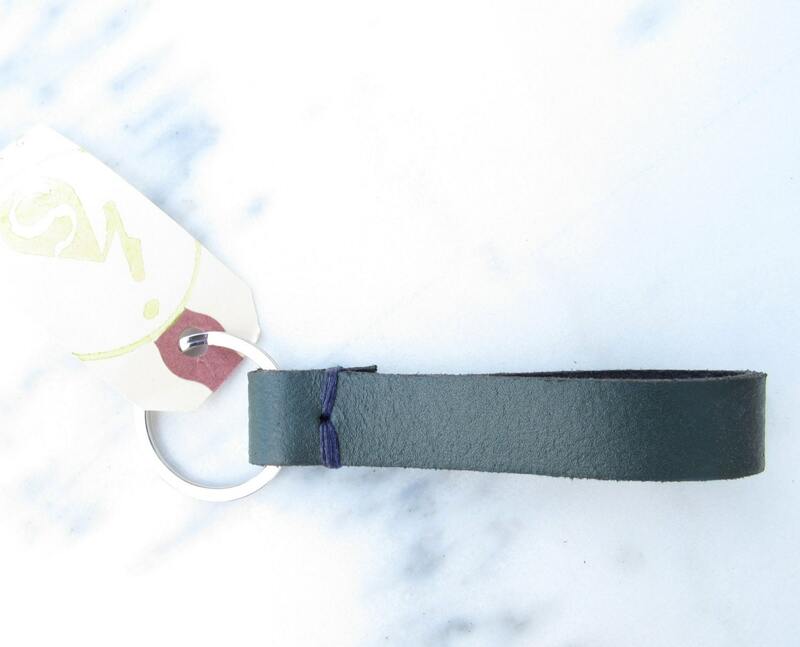 This keychain features forest green up-cycled industrial leather and slate stitching. Measures approximately 5", including stainless steel ring. Your new keychain will arrive wrapped and ready for gift giving.